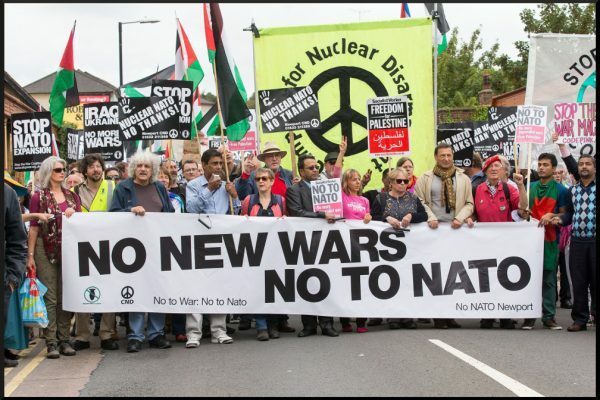 How Durham, NC became the first U.S. city to ban police exchanges with Israel – Stop the Wars at Home and Abroad! Durham, North Carolina became the first city in the country to ban local police exchanges with Israel on April 16, when the city council unanimously passed a resolution opposing any international “military-style” training for police officers. During a heated discussion at City Hall, opponents of the resolutions expressed confusion over the policy’s relevance to Durham, or said they opposed what they saw as unfair targeting of Israel. “There are real problems facing this city, and the Palestinian situation is not one of them,” Richard Ford of Durham’s “Friends of Durham” political action committee said during the public comment period. Durham Mayor Steve Schewel also expressed dismay at what he said were false rumors that Durham had plans to send its police to Israel for training. In 2014 Southern organizers celebrated the 50th anniversary of SNCC’s Freedom Summer. The anniversary coincided with a bloody Israeli military operation in Gaza, “Operation Protective Edge,” that led to the deaths of over 2,000 Palestinians. “The same summer I watched the documentary about Freedom Summer in Mississippi, I learned about the struggles of Palestine,” said Ajamu Amiri Dillahunt, a member of Black Youth Project 100 and a student at North Carolina Central University, a historically Black university in Durham. He also cites a deep legacy of intersectional and internationalist solidarity coming out of the South. 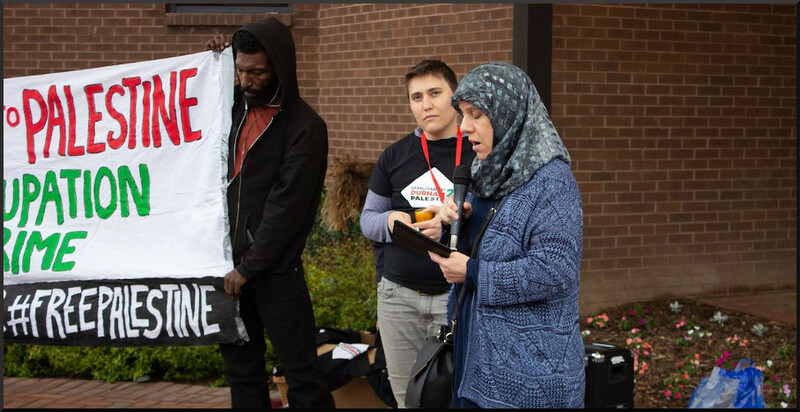 A coalition of 10 local organizations built and coordinated the campaign over the past two years, and presented a petition with nearly 1,400 signatures to Durham City Council on April 16. Their proposed policy resolution that “the Council opposes international exchanges with any country in which Durham officers receive military-style training,” passed 6-0. Organizers had good reason to wonder if Durham would pursue similar training. Durham’s last police chief, Jose Lopez, participated in a police exchange program in Israel through the Anti-Defamation League, and the current Durham police chief, C.J. Davis helped establish and run an exchange program with Israel through the Atlanta Police Leadership Institute as a high-ranking officer in Atlanta. Thousands of U.S. police and border patrol officers, including ICE and FBI agents, have traveled to Israel to be trained by Israeli police and military forces since the early 2000s. Critics of police exchanges argue that they encourage racially biased and violent policing. Many today consider the military occupation in Palestine a contemporary form of apartheid, and one that might be possible to defeat by employing similar tactics of mass nonviolent resistance, such as “Boycott, Divestment, and Sanctions.” As part of the BDS movement, in 2014 Durham activists with Jewish Voice for Peace won an agreement from Durham County to end its contract with G4S, a British security company that was involved in prison and military equipment operations in Israel. Some at the council meeting expressed a fear that Durham’s resolution may be perceived as anti-Semitic. But members of Jewish Voice for Peace, one of the anchoring organizations for the campaign in Durham, say it’s because of their Jewish faith that they feel a sense of obligation to Palestinian solidarity. In a world where capital moves more rapidly and freely than ever before, while technologies of security and border militarization have become more advanced and more entrenched, local conditions cannot be extracted from the global matrix of power and racialized violence. In 2017, Elta North America, an Israeli-owned defense manufacturer, was one of four corporations chosen to help build a prototype for the border wall between the U.S. and Mexico. The future of challenging racially stratified police practices at home and abroad will depend on the ability of community members to tell compelling stories about why our fates across borders are intertwined. Scalawag Magazine is an impact-driven non-profit media organization supporting Southern movements and Southern storytelling. Sammy Hanf is a freelance journalist based in Durham, North Carolina.